Welcome to our first issue of The eBullet for 2013! Read on for news about recent and upcoming happenings with cast members and fans, and also merchandise, including some brand new items, as well as some vintage ones that have recently returned to our Weaver's Department Store shelves. The Andy Griffith Museum, featuring Emmett Forrest's phenomenal collection of Andy Griffith memorabilia, is open daily in Mount Airy, N.C. For info, visit the website at www.andygriffithmuseum.org/ or call (336) 786-1604. * Feb. 8: Rodney Dillard and the Dillard Band perform at the Old Rock School, 400 Main Street West, in Valdese, N.C. Show time is 8:30 Tickets are $12 in advance or $15 at the door. For more info, call (828) 879-2126. * Feb. 9: Rodney Dillard and the Dillard Band perform at the Historic Jonesborough Bluegrass Series at 7 p.m. at the Historic Jonesborough Visitor Center Auditorium. Tickets are $20 for adults and $10 for kids under 12. For more info, visit http://www.jonesboroughbluegrass.com. 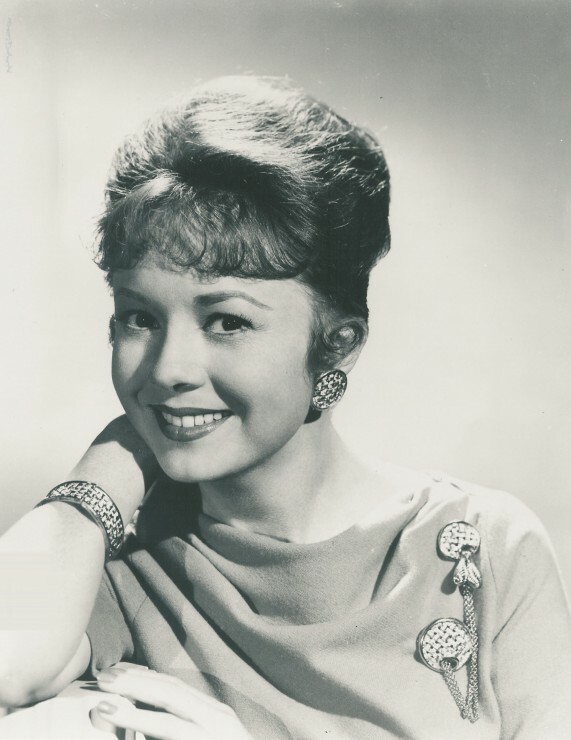 * Feb. 15: Betty Lynn (Thelma Lou) greets fans at the Andy Griffith Museum 12:30-3:30 p.m. She will have autographed 8?--10 photos available ($10). 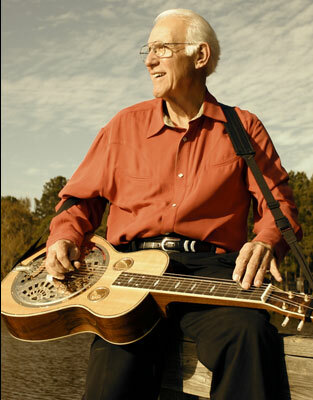 * Feb. 28: David "Mayberry Deputy" Browning joins the Grascals, Bill Anderson, Mandy Barnett and other performers for the "Gone But Not Forgotten" Memorial Tribute Weekend at the New Beginning Annex in Camden, Tenn. The event marks the 50th Anniversary of the plane crash that killed country stars Patsy Cline, Cowboy Copas and Hawshaw Hawkins, and their pilot, Randy Hughes. * Feb. 28-Mar. 2: 16th Annual George Lindsey UNA Film Festival in Florence, Ala. For more info, visit www.lindseyfilmfest.com. * Mar. 8-10: James Best is part of "Dukes of Hazzard" Reunion in Byron, Ga.
* Apr. 13: Neal Brower, author of Mayberry 101, presents a lecture on the "Convicts-at-Large" episode of TAGS, starting at 2 p.m., on the lower level of the Andy Griffith Museum in Mount Airy, NC. Admission is included with an Andy Griffith Museum armband ($3 or $5 with the audio tour) or is $5 without an armband. * Apr. 26 and 27: Third Annual Mayberry Comes to Westminster in Westminster, S.C. Guest stars include Maggie Peterson (Charlene Darling), who will be the event's Official Host and Parade Grand Marshal, and LeRoy McNees (of Mayberry's Country Boys). A full slate of Mayberry Tribute Artists will be on hand, including David "Mayberry Deputy" Browning. Among the activities planned are a Saturday afternoon concert with the star tribute artists, and the popular VW Boys; a Cruise-In and parades; trivia, look-alike and whistling contests; a "Salute to Elvis" show on Fri.; arts and crafts displays; lots of music; and food vendors. More details TBA. For updates, call the Westminster Chamber of Commerce at 865-647-5316 or visit Facebook.com (click on the badge). * May 4: 26th Annual Uncle Jesse Big Bass Classic (founded by Denver Pyle) in Paris, Tex. For more info, visit: www.unclejessefishing.com. 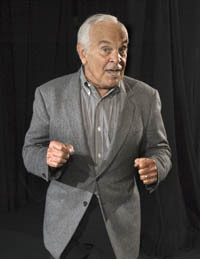 * June 5-9: Ronnie Schell performs in the Comedy Room at Harvey's Casino in Lake Tahoe. * Aug. 23 and 24: Rodney Dillard and Maggie Peterson are joined by several of the Mayberry tribute artists (including David "Mayberry Deputy" Browning, Allan "Floyd" Newsome, Kenneth "Otis" Junkin, Phil "Ernest T." Fox, and Jeff "Howard" Branch) for a Cruise-In on Fri. and then concert benefiting the Montgomery County DARE program on Sat. The evening concert will be at the James H. Garner Center in Troy, N.C. Tickets are $20 for reserved seats and $15 for general admission. Tickets for children 6 years-12 years old are $10. For more info, call Jeff Branch at (704) 985-6987, e-mail jbranch205@windstream.net or visit www.bluegrassintroy.com. 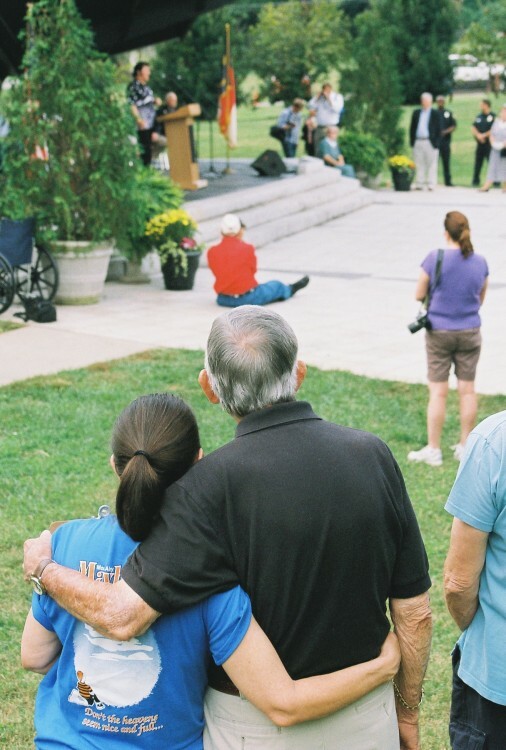 * Sept. 26-29: 24th Annual Mayberry Days in Mount Airy, N.C. The Golf Tournament, Doug Dillard Memorial Concert, VW Boys "Tribute to Mayberry," Colonel Tim's Talent Time, Professor Brower's Lecture and Michael Hoover's "Memories of Elvis" are parts of the weekend requiring tickets that are already announced. More details TBA. * Oct. 28-Nov. 2: Halloween Cruise to Mayberry 8. Five Days aboard Carnival Cruise Line's Paradise, leaving from Tampa to Grand Cayman, Cozumel, and two "Fun Days" at sea. 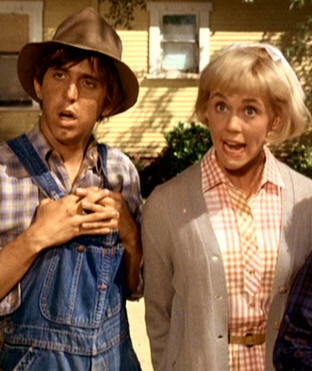 Special Guests for the cruise are Jackie Joseph, best known to Mayberry fans as Ernest T. Bass' love interest, Ramona (Romeena) Ankrum, and Dobro-playing Country Boy LeRoy McNees. They will be joined by several Mayberry tribute artists, an Elvis tribute artist, and the VW Boys for entertainment provided exclusively to Mayberry Cruise participants. For more info, visit the All About Cruises website at www.allaboutcruisesnc.net/. 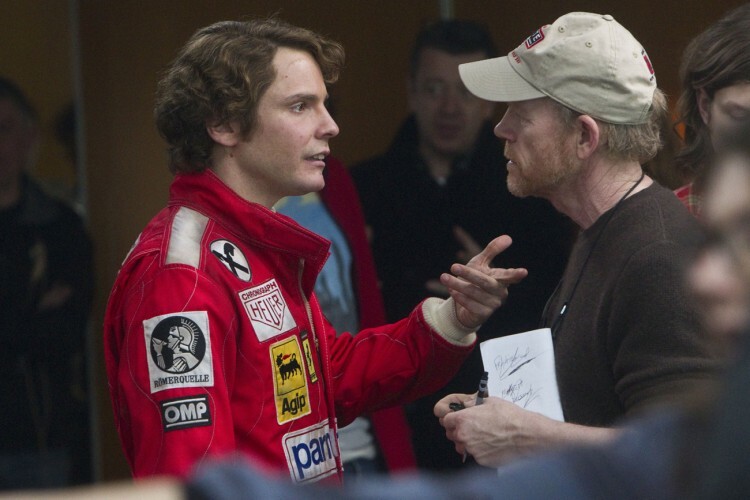 Daniel Brühl and Ron Howard on set of Rush. Photo courtesy Universal Pictures. Ron Howard has been as busy as ever. He has been traveling back and forth between London and L.A. editing Rush, his next feature film, which is scheduled for release on September 20. It has also just been announced that Ron will be in this year's class of inductees into the Academy of Television Arts & Sciences Hall of Fame. The ceremony will take place at the Beverly Hilton Hotel in Beverly Hills on March 11. Attaboy, Ron! Meanwhile, Ron is narrator and (rumor has it) will also appear in at least one episode of "Arrested Development," which is returning to TV (or at least video devices) via Netflix in May. Once audiences are updated (in 14 new episodes) on the stories of the major characters since audiences last saw them seven years ago, more seasons or a feature film (or both) remain a possibility. Ron getting ready for his United Nations PSA. Earlier this month Ron filmed a public service announcement for the United Nations promoting The Universal Declaration of Human Rights. And it has been announced just this month that Ron has signed on to direct All I've Got, a film being produced J.J. Abrams. The romance-fantasy film is an adaptation of Kol Ma She'Yesh Li, a made-for-TV movie in Israel. 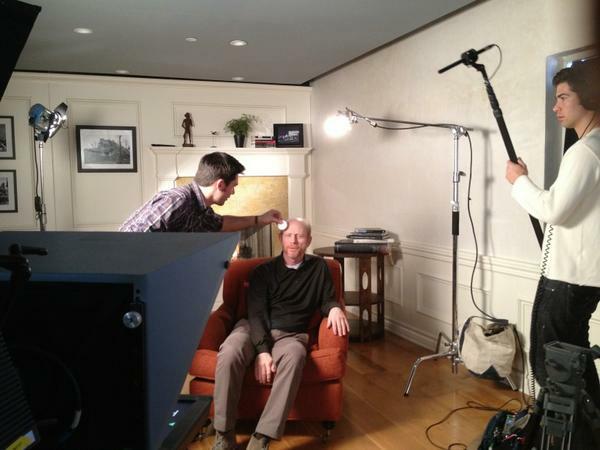 Ron Howard and Brian Grazer in Grazer's Beverly Hills office. Here's a link to an online story in Fortune about their segue into advertising. Ron Howard and Imagine Entertainment business partner Brian Grazer have also announced that they're interested in pursuing their storytelling interests by making commercials and other marketing and advertising visuals. And the whisper around the crypt is that Ron is also in early conversations with Disney to direct a film adaptation of The Graveyard Book, the popular and award-winning children's book by Neil Gaiman. Clint Howard (Mayberry's Leon) has a bunch of "interesting" roles in quirky, off-beat, scary, funny, intense and possibly disturbing movies. In other words, the usual for Clint. Of particular interest is a TV movie called Five More, which has five story lines about women characters, five directors (Laura Dern, Ashley Judd, Bonnie Hunt, Sharon Macguire, and Bryce Dallas Howard, who is Clint's niece and Ron's daughter) and five writers. And all with a top-notch cast of character actors. Rance Howard (father of Ron and Clint) has, as usual, roles in several movies that have just wrapped or are about to start production. Most are Westerns or are shot in the West or Southwest or involve outlaws and other rugged free spirits. Notable ones to keep an eye out for are a train engineer in this summer's The Lone Ranger, director Alexander Payne's Nebraska and as Sheriff Barnum in 16 South. Jim Nabors joined other dignitaries as a guest of Hawaii Governor Neil Abercrombie for festivities this month commemorating the 40th Anniversary of Elvis Presley's famed "Aloha From Hawaii" concert. 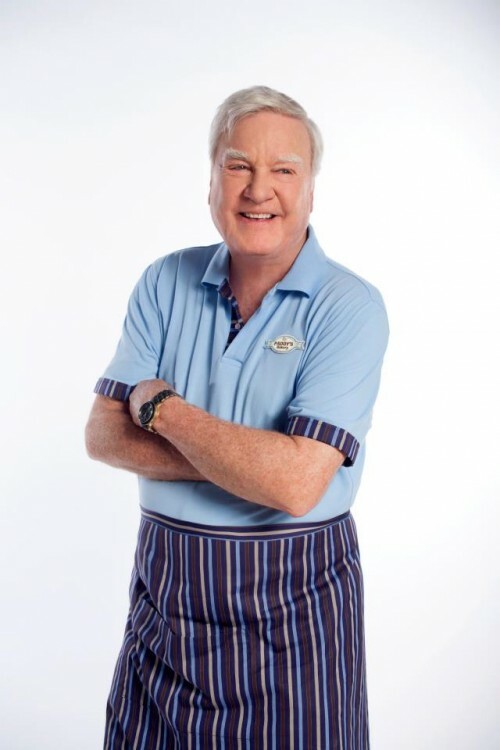 James Best in wardrobe for The Sweeter Side of Life. James Best (Jim Lindsey in two episodes) has been busy painting (oils, that is) while he also prepares for some personal appearances and performances this year. And James co-starred as bakery owner Paddy Kerrigan with Kathryn Morris ("Cold Case") in the movie The Sweeter Side of Life, which was produced and written by daughter Janeen and her husband Michael Damian (and directed by Michael). It was filmed in Romania last summer and premiered on the Hallmark Channel on January 19. Ronnie Schell (two TAGS episodes and Duke Slater on "Gomer Pyle, U.S.M.C.") has just wrapped up comedy club dates in Palm Springs this month after a stint in Las Vegas in November. He'll be in Lake Tahoe in June. 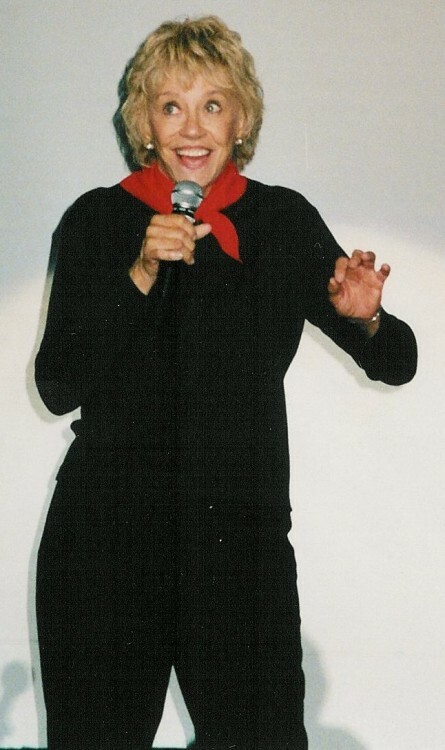 Margaret Kerry ("Christmas Story" and "Andy Forecloses") has been busy doing appearances in connection with the 60th Anniversary of Disney's Peter Pan. (She was the live model for Tinker Bell.) And she is putting the finishing touches on her autobiography (Tinker Bell Talks--Tales of a Pixie Dusted Life), which should be ready to be published this year! We're sorry to report the passing of writer Bruce Howard. We somehow missed this news until earlier this month, almost a year after he passed away. He died of natural causes in Studio City, Calif., on Jan. 30, 2012, at the age of 86. 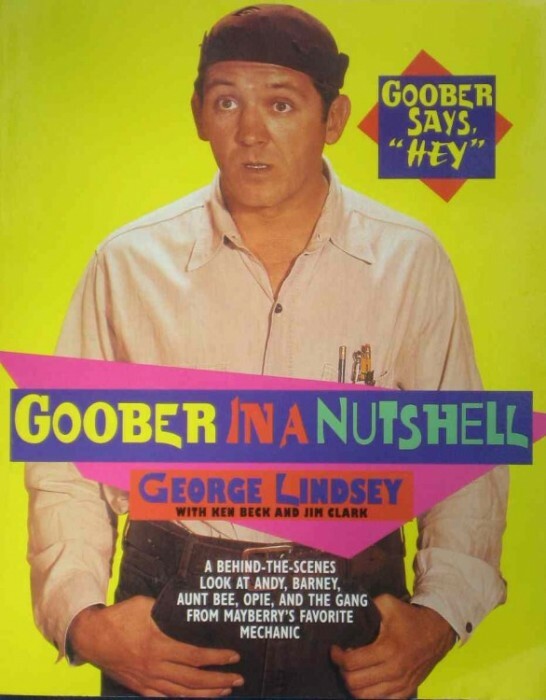 He wrote the teleplay for one episode of TAGS, but it was a significant one, "A Girl for Goober," the last episode filmed and the second to last to air. Bruce Howard was born in Brooklyn, N.Y., on June 6, 1925. He started out as a stand-up comic, cutting his comedy teeth alongside greats such as Milton Berle in the Catskills and around the country. He wrote 32 episodes of "The Red Skelton Hour," and was nominated for an Emmy for that work. He wrote for dozens of shows, including "Gilligan's Island," "The Brady Bunch," "Good Times," "Love, American Style," "I Dream of Jeannie," "The Jetsons," "The Jeffersons," "Alice," "McHale's Navy," "The Beatles" and other top shows. He was a writer and story editor for "The Dukes of Hazzard" from 1979 to 1983. And he wrote the U.S. version of the 1963 classic King Kong vs. Godzilla. Also, if you've ever ridden The Great American Movie Ride at Disney-MGM Studios in Florida, that's Bruce's voice as the narrator. Bruce Howard is survived by Gayle, his wife of 39 years; three sons and a daughter. Fans of Mayberry and friends in Mount Airy and far beyond are mourning the passing of Emmett Forrest on January 12. Emmett was simply a great friend to many. Andy presents Emmett with a miniature Andy Griffith Signature Martin guitar. Photo by Hobart Jones. 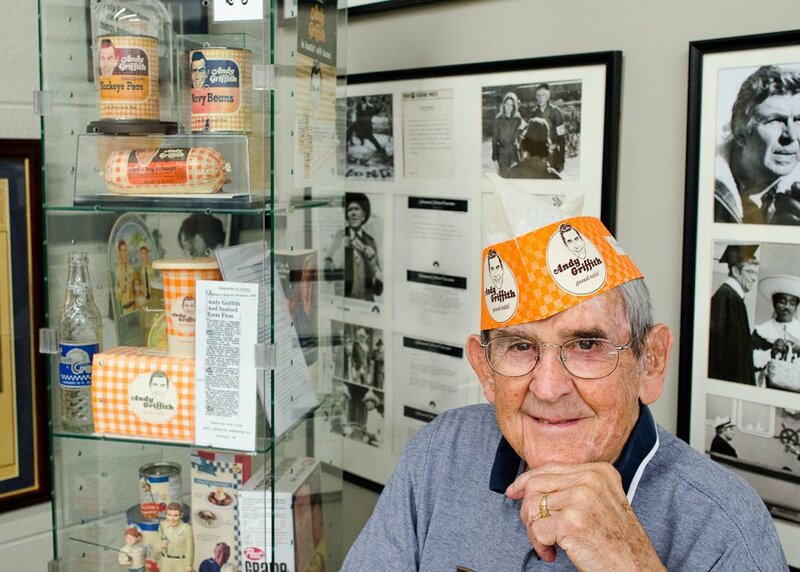 Generations to come will know his name for his association with the Andy Griffith Museum in Mount Airy, because his collection of Andy Griffith artifacts and memorabilia (the world's best and largest) represents the vast majority of items at the museum, for which he was curator until his death. 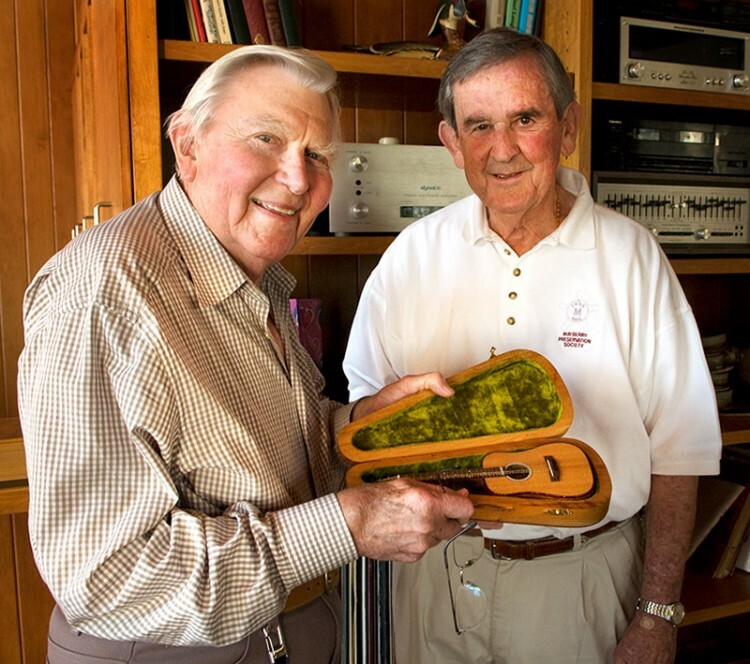 But for those lucky enough to know Emmett, his passion for collecting items pertaining to his lifelong friend is almost secondary. It is his friendliness, kindness and gentleness that many remember most. Emmett was a nice man. And Emmett, like Elvis, was recognizable by one name. Say "Emmett" in Mount Airy or in any gathering of Mayberry enthusiasts, and everybody will know who you mean and will automatically smile. We'll provide links here to several tributes to Emmett and a gallery of photos. Especially touching are the many comments from people who were immediately impressed by Emmett and his friendliness upon first meeting him. What's remarkable is that, over a period of 30 years, these encounters by Mayberry fans with Emmett are all so similar. He was always nice to people, always welcoming and eager to share the joy of his collection and a mutual passion with others. This photo is of the lobby of the Andy Griffith Museum the week after Emmett died. 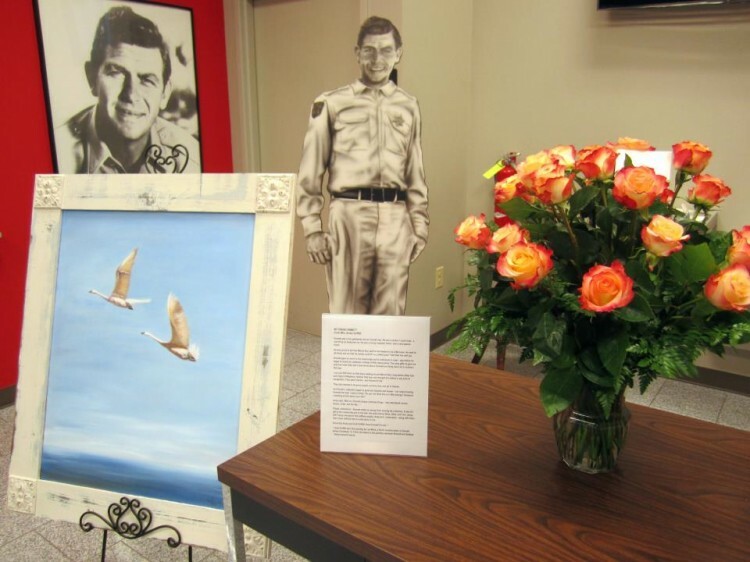 The Museum says this about the painting in the photo: "Cindi (Mrs. Andy) Griffith sent this painting by Lee Mims, a North Carolina artist, to Emmett before Christmas. To Cindi, the swans in the painting represent Emmett and Barbara Forrest- flying toward heaven." Photo by Hobart Jones. Emmett was a true gentleman and an honest man. He was a person I could trust--a rare thing for Andy and me. He was a loving husband, father and a very special friend. He was proud to be from Mount Airy, and he felt blessed to be a Moravian. He used to tell Andy and me that his family could fill up a whole pew! That filled him with joy. Emmett gave so much to the community and to individuals in need--way before he began to share his collection of Andy Griffith memorabilia. The early gifts he gave are acts that most folks don't even know about. Emmett and Andy had a lot in common that way. I can just SEE them as little boys walking around Mount Airy, long before either had ever heard of Mayberry. Neither little boy ever thought of a statue or any kind of recognition. They were friends--and friends for life. They only wanted to be good people, worship God and go to heaven. As Emmett's collection began to grow and became well known--not really knowing Emmett that well, I said to Andy, "Do you not think this is a little strange? Someone collecting all this about your life?" Andy said, "Well no, Emmett always collected things--like matchbook covers, leaves, rocks and the like..."
Please understand--Emmett made no money from sharing his collection. It was his gift to the community and to the arts. His entire family Steve, Dixie and Terri, along with Tanya, are part of this selfless project. Andy and I understand--along with them, that a town without arts is a sad place to live. Know that Andy and Cindi Griffith loved Emmett Forrest. And here's a link to the Andy Griffith Museum's Facebook page with comments about Emmett. You'll also find more than a hundred more similar comments on TAGSRWC's Facebook page. We encourage you to add your own. Emmett watching the Mayor's Proclamation at the 2012 Mayberry Days with friend Tanya Jones, Executive Director of the Surry Arts Council and collaborator in creating the Andy Griffith Museum. And a local TV news story. Here's a link to the official obituary in the Mount Airy News, which also has some nice stories and editorials about him. Emmett's interests and contributions to the world extended far beyond Mayberry. We salute Emmett Forrest...Emmett...for a life well lived. We're forever grateful for his friendliness and friendship and all the wonderful memories he created and preserved. And for the legacy he has left for many to enjoy for many years to come. Our thoughts and prayers remain with Emmett's family. We've had one new chapter start since the November eBullet, which brings us to 1,398 chapters founded since TAGSRWC began. Mayberry Fire Department Gettysburg, Penn. If you're interested in starting a chapter of TAGSRWC, all you need to do is choose a name that hasn't already been picked, and submit it with a list of your founding members by e-mail or by U.S. mail to TAGSRWC's HQ in Nashville. There's a searchable list of existing chapter names at www.tagsrwc.com. Once you successfully choose a name that's all yours and nobody else's, you'll receive your Official Chapter Charter, fancily inscribed and "suitable for framing." What you do as a chapter is entirely up to you. Your group can do as much or as little as you like. The idea is simply to have lots of Mayberry fun with whatever you do. Or if you're feeling more like a joiner than a starter, you can write to us about how to contact a chapter near you. Our mailing address is TAGSRWC, 9 Music Square South, PMB 146, Nashville TN 37203-3211. Our e-mail address is Goober@iMayberry.com. Any which way, we hope you can enjoy the fun of being part of a TAGSRWC chapter! 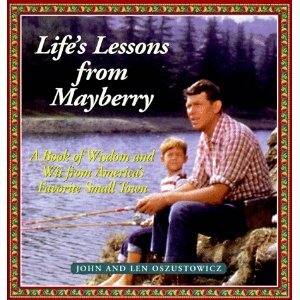 After the holiday rush, we've now re-stocked the virtual shelves at our online Weaver's Department Store of Mayberry (and related) items. We also have some brand new items that we've just added. And during year-end inventory, we came across a few more hard-to-find vintage items that we've added back to our lineup (especially in the Books section). 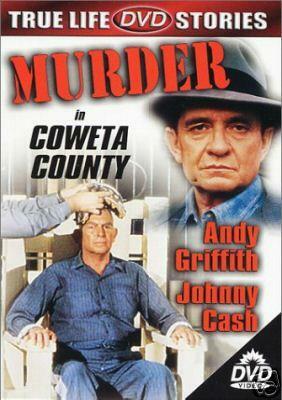 This popular and critically acclaimed 1983 made-for-TV movie stars Andy Griffith as the wealthy John Wallace and Johnny Cash as Sheriff Lemar Potts of Coweta County. It's riveting to watch the two entertainment icons as adversaries in this fascinating film, which is based on real events in Georgia. June Carter Cash is also featured among the fine cast of character actors. And of special interest in a pivotal role is Cindi Knight, who became Mrs. Andy Griffith about six weeks after this movie was first broadcast. For years this film has been extremely difficult to find, except overseas and on old VHS tapes. In time for its 30th Anniversary in 2013, we're pleased to be able to offer it on DVD! Brand New in November 2012! 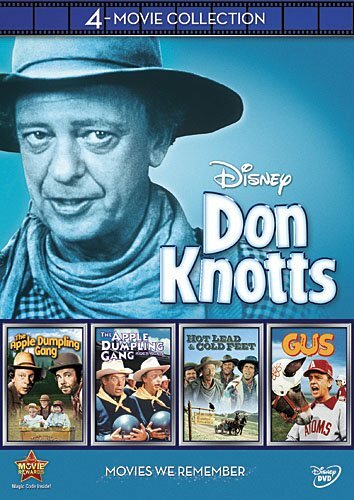 Together for the first time on one DVD set are four hilarious movies Don Knotts made for Disney! And at a really fantastic price! Three of the movies also star Tim Conway. And there's a Who's Who of favorite Hollywood character actors and Western sidekicks. And even legendary Baltimore Colts quarterback Johnny Unitas, along with a football-kickin' mule! These are funny and wholesome films for the whole family. And all for less than $5 per flick! It's Not Too Late to Make Your 2013 Dates with Mayberry! Back by popular demand! After an absence since 2010, the official "Andy Griffith Show" Wall Calendar is back for 2013! We can't tell you how many people asked about calendars the last two years, only to be disappointed that there wasn't one. So, we we're thrilled that one is once again available for 2013. The calendar features black-and-white photos of Andy, Barney, Opie, Aunt Bee, Gomer and Goober. It measures 12x22 when opened for hanging. It's a great way to celebrate Mayberry every month and every day in 2013. And best of all it's now 20% off! That's like getting 2 1/2 months free! And even better for collectors (or for a gift for a friend)...When you type Dooley Double in the Comments area on our online order form, we'll upgrade your order to 2 Wall Calendars for $20! While supplies last (we're down to our last box). Don't let a year of Mayberry get away from you! This 1995 autobiography by George Lindsey has been out of print for a few years, but George's family has graciously provided us with a few copies, which George had kept safe all these years, to use as fundraisers for some charitable causes that meant a lot to George. The copies we have are still pristine, carefully preserved by George since publication. The 210-page paperback covers highlights of George's fascinating life from childhood in rural Alabama to New York and Hollywood to Mayberry and Kornfield Kounty. The book is filled with wonderful photos and many adventures, both hilarious and poignant. All proceeds from the sale of this book go toward TAGSRWC's support of the George Lindsey UNA Film Festival in Florence, Ala. Choice of either plain ($15) or a special autographed copy ($100). Find these and much more (including apparel, artwork, music, DVDs and items for your vehicle) at www.weaversdepartmentstore.com, or just click on the Weaver's button at the top of the page whenever you're visiting www.imayberry.com. We're really excited about the launch last year of Web activity hosted by TAGSRWC and organized and overseen by webmaster Allan "Floyd" Newsome. It's called iMayberry Community. You can check it out and sign up for free at: http://imayberrycommunity.com/. The iMayberry Community has been getting a great response. It complements our other online activities, including our main www.imayberry.com page, podcasts, Facebook page, online newsletters (such as The eBullet! ), weaversdepartmentstore.com and chat rooms. Combined with TAGSRWC chapters and the various Mayberry events for all fans (from Mayberry Days to ocean cruises), not to mention enjoying the sites of Mount Airy year-round, the world of Mayberry fun keeps expanding. And best of all, it's all rooted in watching the show itself. Whether through DVDs, local stations or TV Land, loving to watch the show continues to be the energy that feeds all the other Mayberry fun and activities that we enjoy. 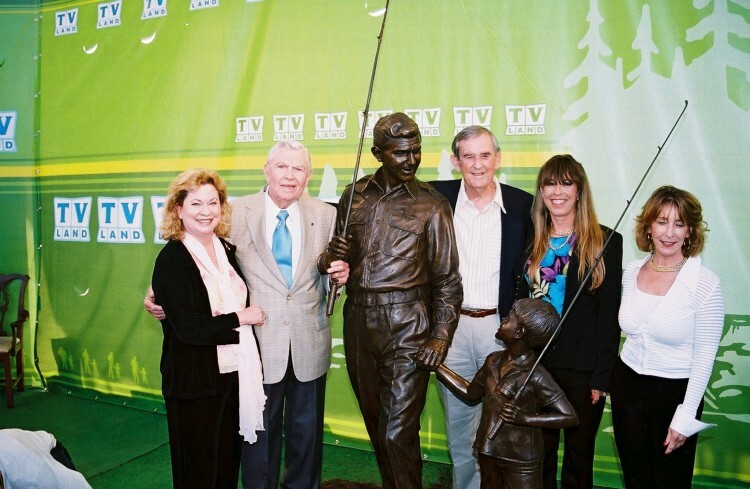 What a wonderful thing Andy Griffith and his talented team of actors, musicians, writers and crew people created 53 years ago--for us and generations to come! There's a lot of info and discussions that you simply won't find anywhere else, including rare interviews (vintage and new) with cast and crew members of TAGS. If you've got sound on your computer or have an iPod or similar device, you can easily tune in live or download these podcasts. Also, check out the podcast area of our www.imayberry.com site for info about a Mayberry Bible Study Podcast, also hosted by Allan. And there's a Brother Figure podcast to Two Chairs, No Waiting. It's hosted by longtime TAGSRWC member Kevin Burke, who does a super job of describing and discussing individual episodes. It's called Burke on Mayberry. Check it out. TAGSRWC's official page on Facebook now has more than 35,000 friends! You can find us at www.facebook.com/tagsrwc. There's a variety of comments about Mayberry, and a lively stream of fans' favorite TAGS lines. And our Facebook page is also one of the first places we post announcements and breaking news about TAGS. If you haven't already dropped by the page, we hope you'll check it out sometime when you have the chance. We invite you to become a TAGSRWC Facebook Friend! 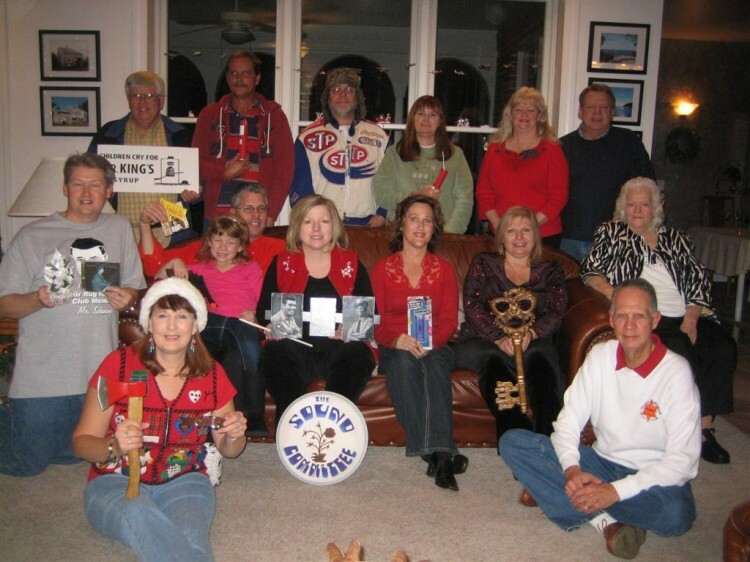 As usual, lots of our chapters held gatherings around the holidays. PRETTY IN PINK--When Peggy McCay was in Nashville for an Elephant Sanctuary fundraiser in December, several TAGSRWC members were able to visit with her, including this group. 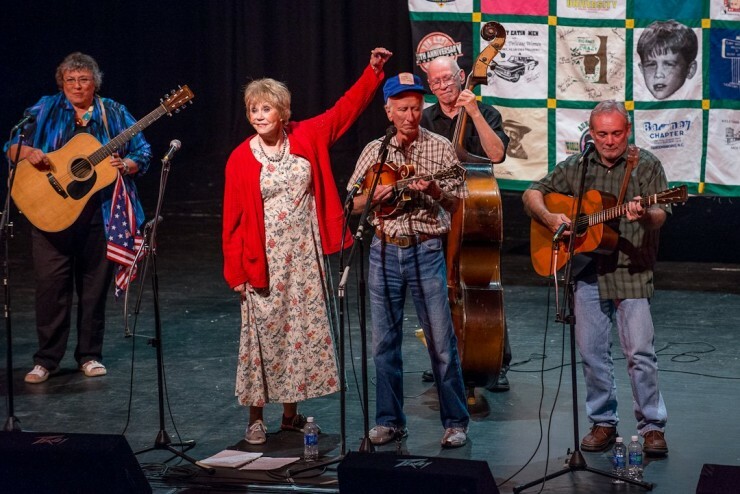 Left to right are Jim Drewry, Dennis Beal (aka Mr. Schwamp), Peggy McCay (aka Sharon DeSpain), Bob Mundy (aka Briscoe), Bo Pierce (also aka Briscoe) and Michael Lowery. Photo courtesy of Dennis Beal. 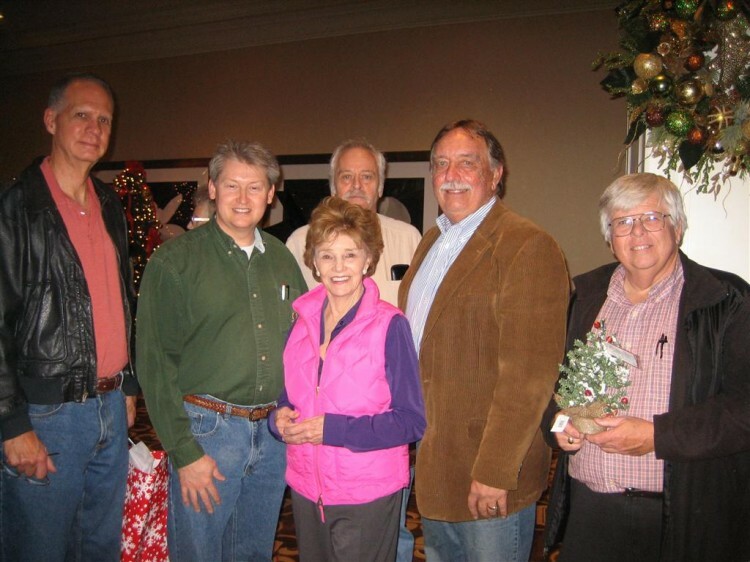 At the Crossroads chapter (Cleveland, Tenn.) and Mayberry chapter (Knoxville, Tenn.) held a joint meeting in November to commemorate the birthday of Peggy McCay (Sharon DeSpain in "Class Reunion"). They had arranged to talk with Peggy by phone during their get-together. Peggy delighted the group, and they hope they provided her some birthday cheer as well. And the group got to have cake, too, so that's reason enough for celebrating right there! 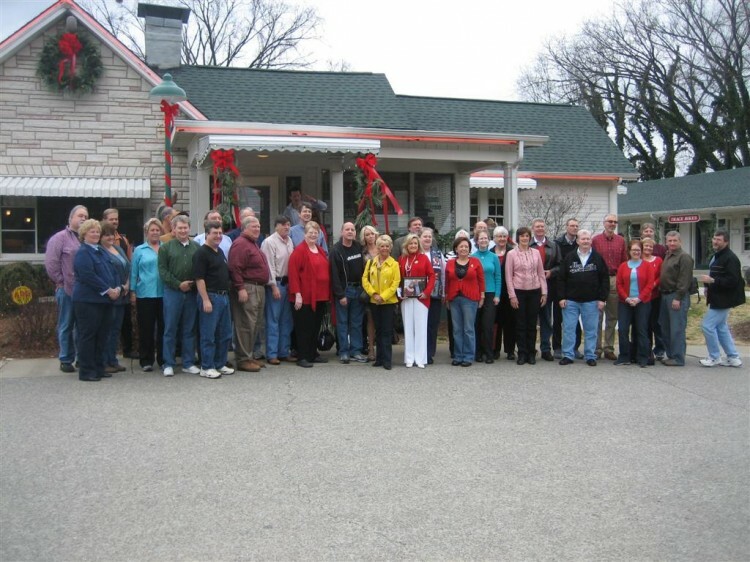 Mayberry chapter at their Christmas party. Editor's Note: We encourage any readers with chapter or event news and photos that they want to share with eBullet readers to e-mail their reports and photos to us at Goober@iMayberry.com. 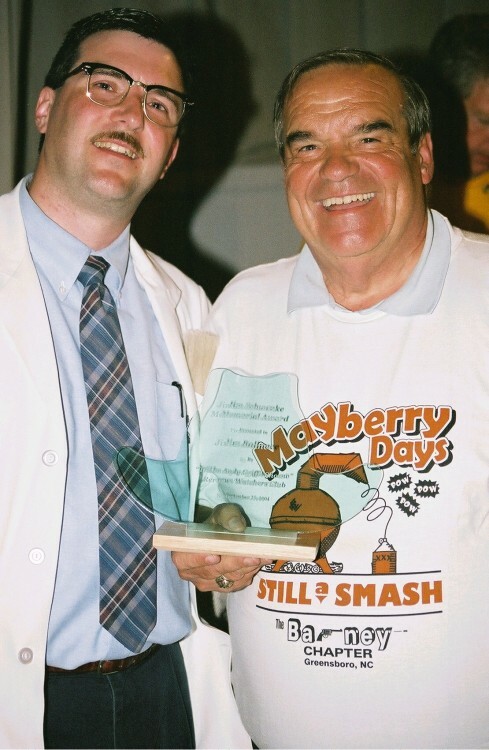 Allan Newsome (left) presents Jim Ballance with the Jim Schwenke Memorial Award at Mayberry Days in 2004. 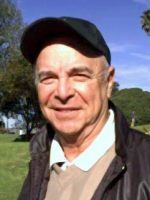 We lost a special TAGSRWC member when Jim Ballance died on December 27. Jim was a bedrock member of our Barney chapter (Greensboro, N.C.) and a truly wonderful person and great friend...to all who knew him. He was the Great Communicator of Barney chapter, and was legendary for his meticulous correspondence and newsletters. This is a favorite photo of Jim Ballance standing with TAGS writer Harvey Bullock at Harvey's home in Monarch Beach, Calif., in 1997. 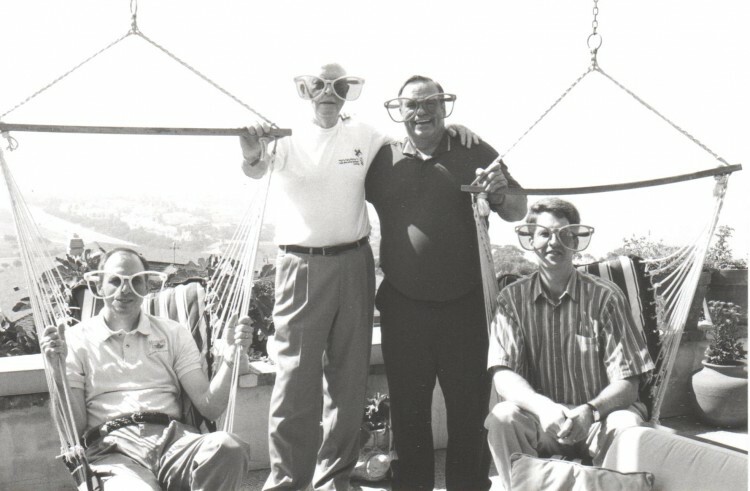 The Goober in the hammock chair at left is fellow Barney Chapter member Neal Brower. (A Goober from Nashville's Andy Chapter is in the other hammock chair.) Giant sunglasses provided by Harvey. Jim was one of the friendliest and most enthusiastic participants at the annual Mayberry Days festival in Mount Airy. He was always ready with a warm greeting to old and new friends alike. In 2004, Jim was the second recipient of TAGSRWC's Jim Schwenke Memorial Award, one of our club's two major awards. Our condolences got out to Jim's family and friends, and to his family of friends in Barney chapter. If you ever miss receiving an issue of The eBullet, you can always catch up by reading it in the eBullet Archives in the Newsletters section at iMayberry.com. Each issue is usually placed in the Archives within about a week or so of its being distributed to subscribers. Between issues of The eBullet, keep up with the goings-on in Mayberry with the daily Who's Been Messin' Up the Bulletin Board? (aka WBMUTBB) Digest. It's a free subscriber list that consists entirely of comments, newsflashes, and questions and answers from subscribers. You can sign up for that list by going to the Mailing Lists link at tagsrwc.com. WBMUTBB also has its own Archives where you can follow the ongoing stream of messages. And TAGSRWC publishes Weaver's Newsletter in more-or-less alternate months to The eBullet. Like The eBullet, the Weaver's Newsletter is free. 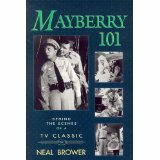 Its focus is mainly on new Mayberry merchandise and collectibles and quick newsflashes. To sign up, go to: Weaver's Newsletter Sign-Up. TAGSRWC's other main vehicle for Mayberry information is simply our website at www.tagsrwc.com (and its sister site www.iMayberry.com). Both sites have extensive content and links for just about everything a Mayberry fan might be looking for. The next eBullet is planned for March, and the next Weaver's Newsletter is scheduled for February. Till then, happy Mayberry watching!